1 on 1 brings the first systematic NBA formula for breaking down the forever topic, "who's better!?" Listen in and be ready to be surprised by your favorites and participate via social. Paul Pierce ruffled a lot of feathers when he claimed a better career than Dwyane Wade, but did he have a point? Listen in as we break down the hottest NBA debate that’s rocking Twitter feeds all across the nation. 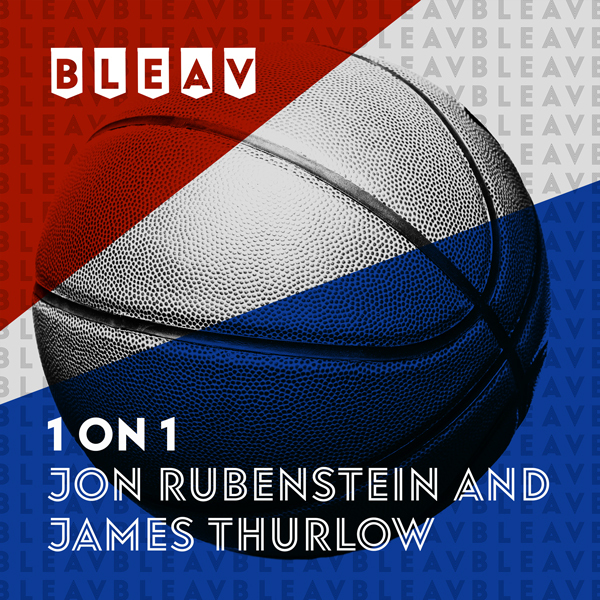 Sometimes special circumstances call for special edition episodes, and it’s come time for the Los Angeles Lakers to garner some air-time on 1-on-1. Join us as we bring in ESPN’s James Rizzo, a diehard Laker fan, to help us discuss what’s gone wrong, and what’s up next for the Lakeshow. Originally from northern New Jersey, Jon Rubenstein is a recent graduate of The University of Michigan, where he spent two years as a Student Manager and Walk-On Practice Player for the Men’s Basketball team, appearing in one game for the Wolverines at the end of the 2014-15 season. After his time with the basketball program, Jon switched his focus to sports journalism, working as a host, writer, and co-producer for WOLV-TV – Michigan’s student-run TV station. Jon was also a part of the Big Ten Network’s Student U program, where he served as a Play-By-Play announcer for several Michigan sporting events, including Men’s Basketball, Women’s Basketball, Men’s Gymnastics, Baseball, and Men’s Lacrosse. Jon now works for ESPN as a member of their Digital Media team, and as an announcer for ESPN3’s coverage of College Basketball. James Thurlow, a College of Charleston graduate, grew up in the suburbs of New York City as a diehard Knicks, Mets and Jets fan. (Tough, huh?) His fandom led him to pursue a multitude of sports aspirations, including broadcasting high school football & basketball games, attend Bruce Beck & Ian Eagle’s sports broadcasting camp, and AAU basketball, where he met his best friend, Jon. James attended Bergen Catholic High School and played varsity basketball for one of the best high school basketball programs in New Jersey. After graduating school college with a degree in computer science, James currently is employed as a Systems Engineer at Lazard Asset Management, perfecting their formula and stats analysis for 1 on 1.